Theo Krause gains speed as he drops into a ravine on a remote Colorado mountain biking trail. Rounding a bend, his bike hits an awkward bump, hidden by the shadows, that catapults him head first into an aspen tree, splintering his neck. Staring at the sky, paralyzed, he thinks, "This is where I will die." A mountain rescue team races in while a helicopter crew positions for a dangerous airlift. Hours later and five hundred miles away, Theo's mother takes a phone call. The news is devastating. Her son will never walk again. 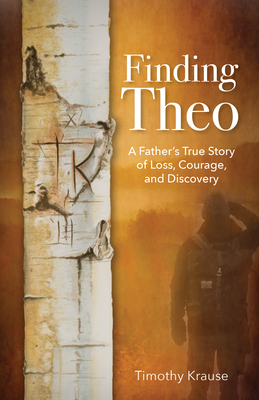 Finding Theo is a father's raw account of his son's courageous battle for life. It is also a deeper story of discovery about the people whose lives became interwoven with Theo's: the son of an Iranian immigrant who found him beside the trail, medical professionals--one, the sister of a Columbine High School massacre victim--and the cast of friends who guarded his soul. Long after the last page turns, Finding Theo provokes questions about the meaning of "miracle" and the way the world was made to work.